Nothing beats a good bonding session over lunch. Eating alone is a social stigma. In many Hollywood movies, people who eat alone are often depicted as sad and depressed. Crying into your food isn't really glamorous either. Before you doomed yourself with a life of loneliness, STOP! In this week's Tech Tuesday, we provide a solution to all the lone eaters out there. 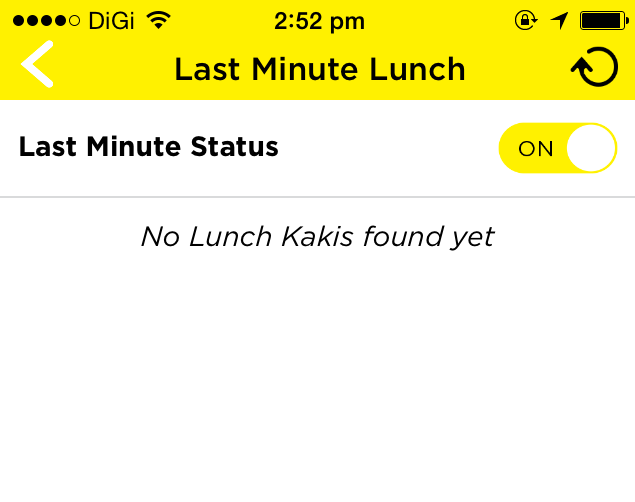 Lunch Kaki, an app hailing from Singapore helps connect people during lunch meals. Getting to know someone new over food seems to be a good idea, yes? “Lunch Kaki facilitates individuals in getting to know one another in a casual and non-imposing manner over lunch. Be it for sharing of common interests or passions, finding a last-minute lunch partner (we would not be caught dead eating alone), widening of social circles, networking, dating — the possibilities are endless. 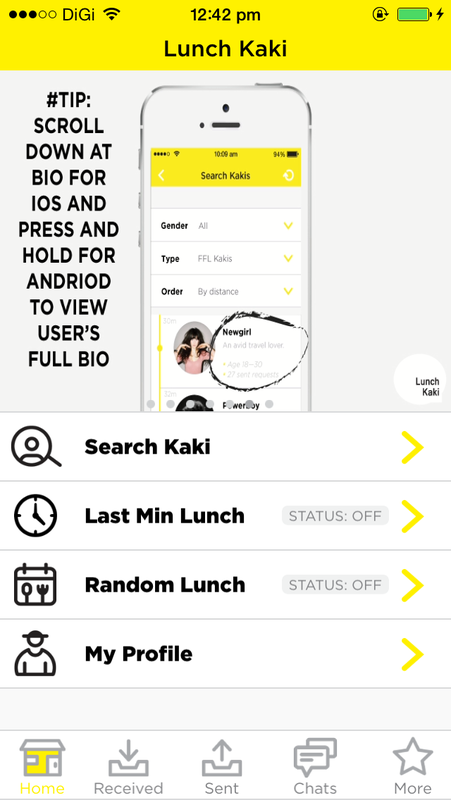 Users can search and select ‘lunch kakis’ in their vicinity where a quick bio data of each user is made available,” Melvin Tan said. But why lunch? Why not dinner or breakfast? 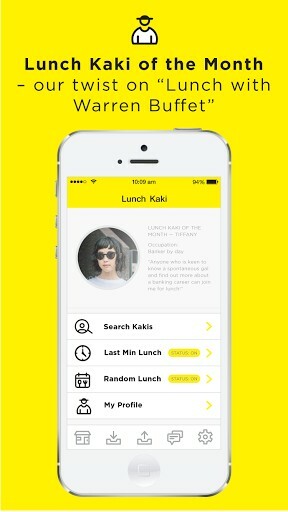 Lunch Kaki is a social networking app that focuses on getting people to get out there and socialise during lunch time. We named it Lunch Kaki as we feel that lunch time is a perfect time for casual meet-ups and does away with the higher commitment associated with dinner. 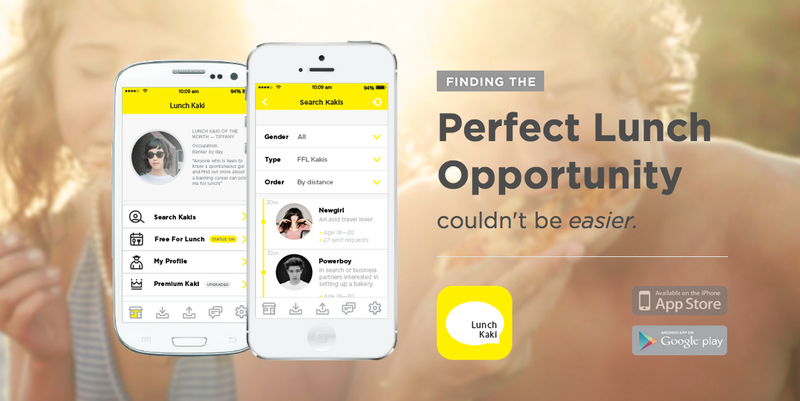 You can use Lunch Kaki to meet new people for job opportunities, find a last-minute lunch companion, or make new friends. Of course, Lunch Kaki is not restricted strictly to lunch requests. If you're lazy, you could always register with your Facebook account. Once you've registered yourself an account, you'll be greeted with a quick tutorial session. Nice touch! We're loving the yellow colour theme as well! Very eye catching! 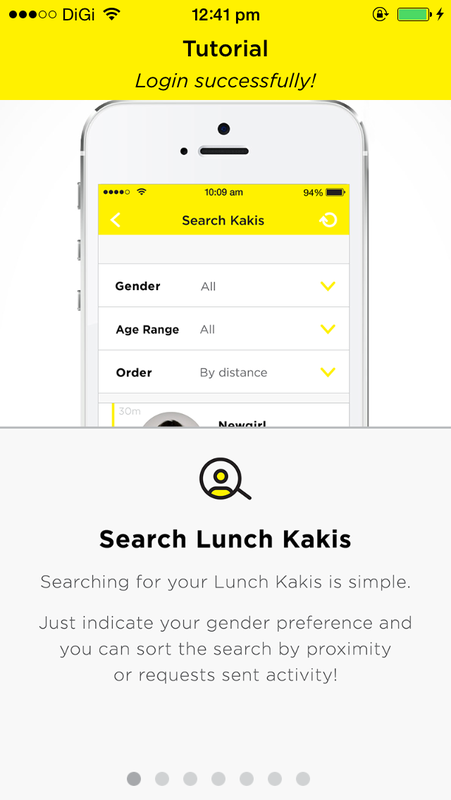 Users can search for lunch partners via the 'Search Your Kaki' tab. Bear in mind that the app is geo-location based so you have to enable your location settings. Just indicate your gender and age range preferences. 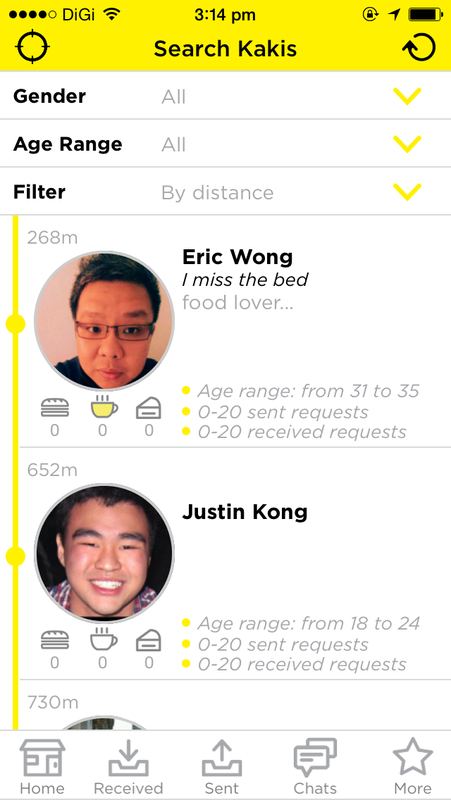 You can also sort the search by proximity or requests sent activity! Once you've found your 'Lunch Kaki', just send them a request! 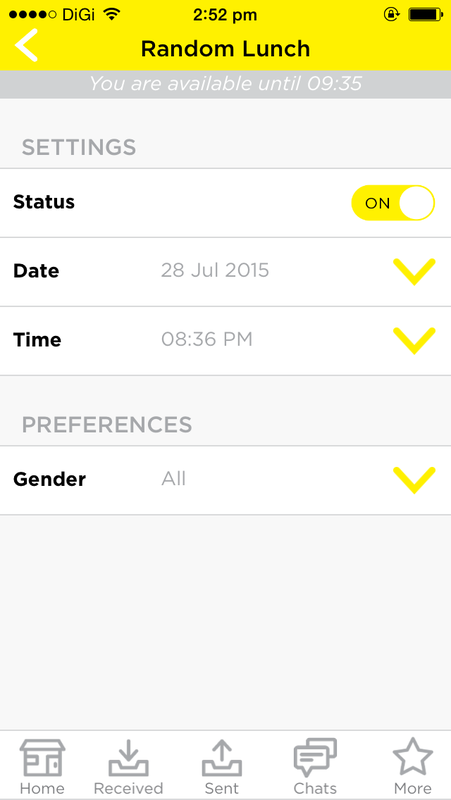 Use Random Lunch to schedule your lunch ahead and a chat box will appear if the corresponding date, time and gender matches! A little bit like a blind date, you could say! Every month, there'll be a featured 'Lunch Kaki Of The Month', where users can have lunch with featured Lunch Kakis who are passionate about making new friends over food! Overall, we love the idea behind Lunch Kaki. It sets itself apart from many other social networking apps, by using food as a medium to increase one's social circle. 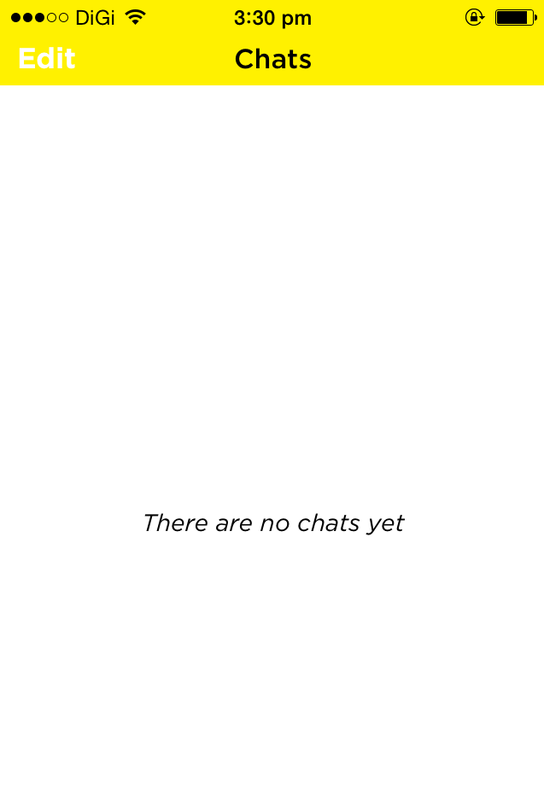 The iOS app is fairly easy to navigate around as well. 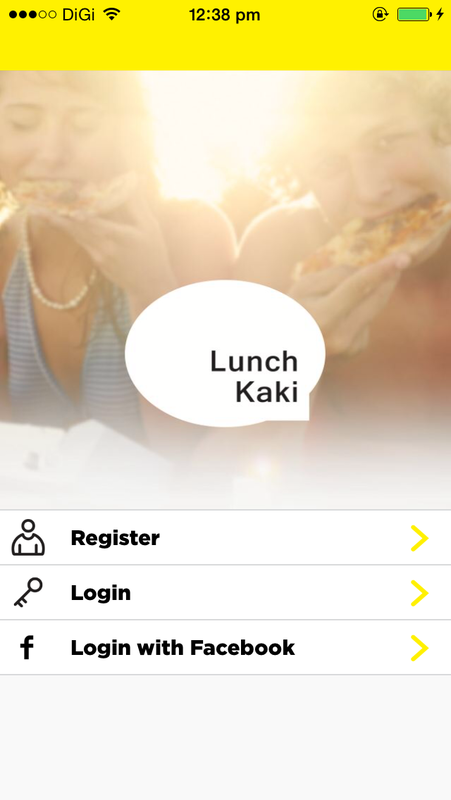 Download Lunch Kaki on Google Playstore and iTunes. P.S: Help us find the next gadget/startup/app that we should feature in our weekly Tech Tuesday column! Feel free to tweet us or drop us a message on our Facebook page. These websites could be your first step into a fulfilling career.